Dr. James Rubas started The Visiting Audiologists of Westchester in 2013. He received his Bachelors of Science degree from SUNY Cortland and his Doctor of Audiology degree from the University of Connecticut. 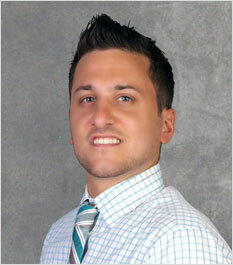 Dr. Rubas holds licensure in New York State as an Audiologist and Hearing Aid Dispenser. He is a fellow of the American Academy of Audiology and is board certified by the American Board of Audiology. He has worked in both medical and private practice settings. .
Dr. Rubas was previously a senior audiologist in a private practice when he decided he wanted to create a more affordable way to pair high quality hearing devices with convenient, personalized service. Eliminating the overhead of an office allowed for significant savings to be passed along to the patient. This model also allows for flexible scheduling that works around the patient’s busy schedule. He specializes in hearing aid fitting, dispensing and aural rehabilitation. Dr. Rubas is also skilled in diagnostic testing for the hearing and balance systems. He values the importance of continuing education and staying current with all new hearing aid technologies and diagnostic procedures. Please call (914) 420-0064 or schedule an appointment online. Dr. Aisling Rubas earned her Bachelor of Science degree in Speech and Hearing Science from the University of Utah. She completed her Doctorate in Audiology at the University of Connecticut. Dr. Rubas holds licensure in New York State as an Audiologist and Hearing Aid Dispenser. 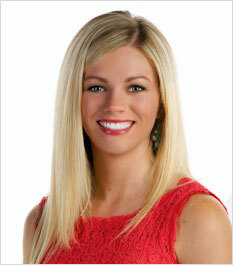 She is a fellow of the American Academy of Audiology and is board certified by the American Board of Audiology. Prior to establishing The Visiting Audiologists, Dr. Rubas was a diagnostic audiologist in Yonkers, NY. She performed diagnostic evaluations for both hearing and balance disorders. In addition to her diagnostic knowledge she is an expert in hearing aid fitting and dispensing. Dr. Rubas combines her knowledge of the most recent hearing aid technologies with her personal service and positive attitude to provide a very pleasant experience. Along with providing convenient at home service, Dr. Rubas works alongside two Otolaryngologists, (Lisa Szubin, MD and Rosemary Desloge, MD) providing comprehensive audiological testing and hearing aid services in Manhattan. James and Aisling currently live in White Plains with their son George. They enjoy spending time with family and friends.